The Peninsula Humane Society & SPCA’s Hope Program helps the neediest animals and gives them a second chance at life. As an open-door shelter, PHS/SPCA accepts all animals regardless of their age, size, temperament and behavior. Some animals arrive perfectly healthy and need nothing more than a new loving home, but many others need extra medical care, behavior training, or TLC before they can be placed into a new forever home. For some of them, PHS/SPCA is their only chance. Hope saves on average more than 150 animals every month. Thanks to generous support, this number keeps growing! If you are interested in learning more or are able to make a life-saving contribution, please contact Lisa Van Buskirk at 650-340-7022, ext. 327 or LVanbuskirk@PHS-SPCA.org. Our Hope story dates back a few decades. A PHS/SPCA officer was called to a scene where a tan and white Australian Shepherd mix was dying — an apparent, yet inexplicable stabbing victim. Staff veterinarians felt the frightened dog would not make it through the night and doubted she would ever trust another human, yet she was given pain medication and supportive care. The following day, she showed a flicker of hope; she began eating and even wagged her tail. “Hope,” as we began calling her, progressed further over the next few days. Her circle of friends at the shelter grew as did the number of interested adopters. 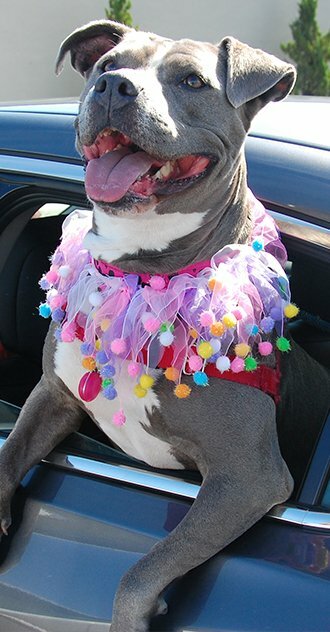 One volunteer persisted in her efforts to adopt and gave Hope fabulous years of her love and care. 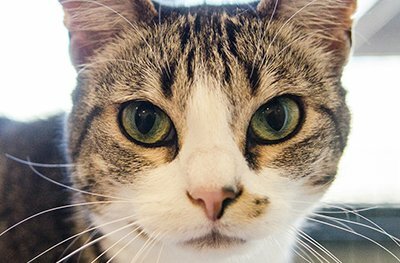 Hope’s story inspired a program that would care for more animals like her who need specialty care before being made well enough for adoption. Joe was found in an open yard where he collapsed for hours and wouldn’t put weight on his rear leg. Those who called us had never seen him before. 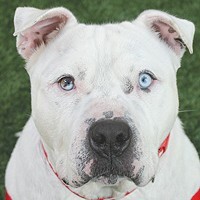 Our staff aged the male American Bulldog at nine. He had a significant skin condition and ear infection, plus possible arthritis. We saw a good-natured, lovable dog who began to move and feel much better while in our care. He likely spent all or most of his life outdoors. We made Joe available and enrolled him in our Second Chance Class, a weekly training for shelter dogs. He was the class star: friendly, outgoing and playful with all. We found a foster, which meant Joe would get a quiet home in which to clear up his skin condition, work on interactions with other dogs and learn how to behave inside a home. He got much more – this family adopted him! Benny was abandoned at Recology in a room full of garbage that was going to be compacted by a machine. Benny had a collar but no identification. He was very friendly, various volunteers who worked with him noted how sweet he was and how much he loved petting and sitting on laps. After Benny was put up for adoption, it was determined he had ringworm. Because ringworm is contagious and difficult to treat, most shelters euthanize these cats, however we started treatment. After he was quarantined, a couple who had seen him on the website came down to meet him, and they called us every week to check on him. We treated Benny for almost three months at which point the couple adopted him. 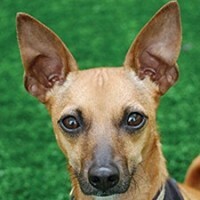 After spending nearly 2.5 years* in our care, Pavarotti, a Chihuahua mix, found his new loving home. 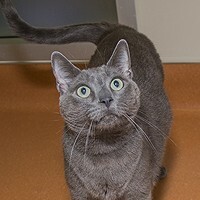 This adoption puts an exclamation point on PHS/SPCA’s promise to find a home for every healthy dog and cat in our care. 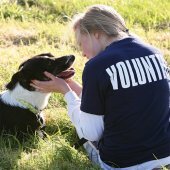 It also speaks to the role that volunteers and staff play in keeping companion animals healthy – both physically and mentally – while they are with us. 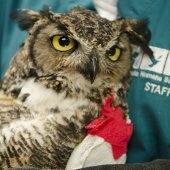 Their behind-the-scenes work includes daily exercise, mind-stimulating enrichment activities, a clean environment, high-quality diet and immediate attention for any health issues. *this includes several months with dedicated foster parents. When checking out our animals on-line or in person, visitors will almost certainly encounter “bonded pair” on at least a few of the animals’ descriptions. This means we received two animals together, from the same owner who had to surrender them for one reason or another. When they do, we make every effort to keep them together, especially those who have lived together for years. 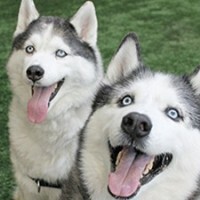 This often makes re-homing them a longer, more challenging process, which was the case for Ace, age 8 and Deuce, 11, a bonded pair of Siberian Huskies (pictured above) in our care for a few months before we made a great match!